It’s that time of year again. I’m getting ready to compose my 2019 predictions post and am open to your suggestions on what to write about. Let me know within the next two weeks what you are interested in hearing about and I’ll do my best to put in the final draft. Hope you all have a happy holidays. This post is going to be very short because I’m beginning preparations for the composition of my 2019 predictions post. 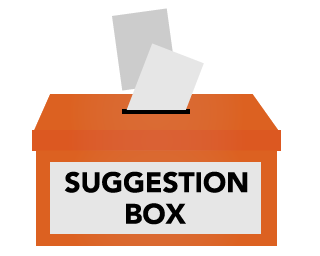 I’m going to put up a suggestion thread later in the month to get your questions. I also have another blog that I’ve been meaning to post that I will hopefully compose in the next month. Look out for that soon. In the meantime, here’s a prediction to share. 1) If CNN thought that nothing would happen to them by firing their commenter Marc Lamont Hill over his pro-Palestinian comments, they thought wrong. Many who have been burned by CNN before will begin to join together to expose the corruption of the “news” network and the shenanigans of its director, Jeff Zucker. In connection with the attention the repressed and recently leaked Israel Lobby documentary will bring, Marc’s firing will further expose the illegal influence of the Israeli government on the United States and see a bipartisan backlash amongst the American people as a result. Such anger will spill into capitol hill next year and cause major changes to how the US deals with the Israeli/Palestinian conflict. 12/1 ETA: And another, forgot about this one. 2) I’m very worried about the amount of attention that the murder of delusional missionary John Chau has been receiving in the press for illegally trespassing in Sentinelese territory. If the press doesn’t let up soon, then I fear that Trump or Pence will insist on rescuing his body and causing the extinction of the native population as a result.